Free calls to up to 55 internal or external numbers via 2-digit speed dial. Dedicated 'Taxi' button connects directly to a taxi dispatch. Poster directory can carry maps and other useful information. 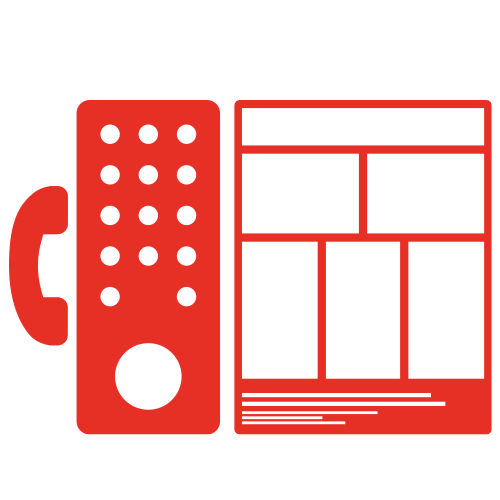 The Infopoint Directory is our most comprehensive help point, offering free calls to up to 55 internal or external numbers. Listed on the integrated poster directory, these services are accessed by entering a two-digit speed dial number. A dedicated, reconfigurable ‘hot button’ provides direct access to a featured service such as your nominated taxi operator. 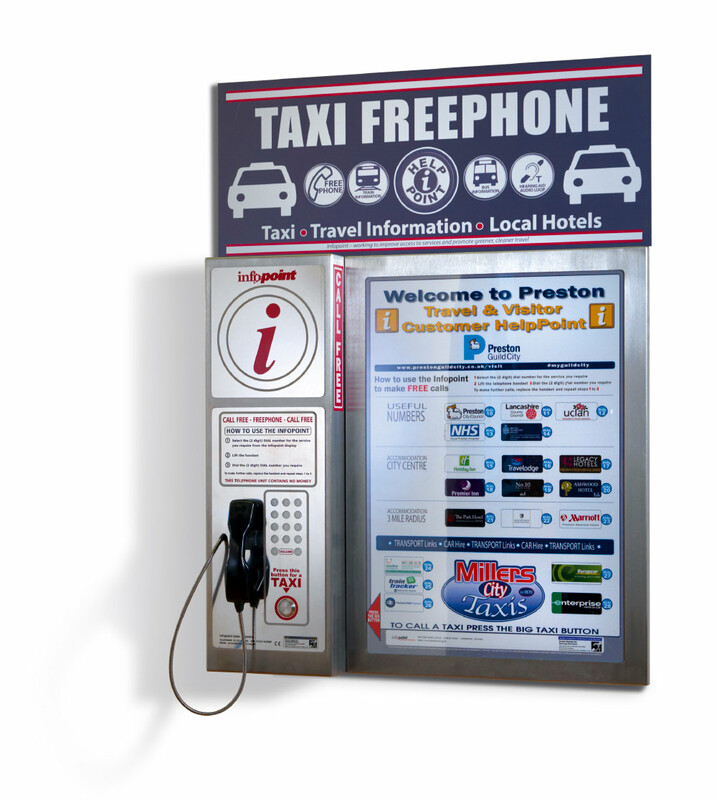 Smart, vandal-resistant and very easy to use, the Infopoint Directory offers your visitors a clearly signposted means to connect with a wide range of services, 24 hours a day. The A1-sized poster directory is designed and printed to your specifications. It’s large size means that the directory can also carry maps, site plans, advertisements and other useful information. Services can be displayed alphabetically, in display boxes and organised into categories. Housed in a matching steel frame, the directory can be fitted to the left, the right or on both sides of the Infopoint unit.